What's more, mixed in among office blocks are beautiful residential properties. Luxury high rises have waterfront views and close by are parks and gardens that give what was once a place to work a distinct character of its own. Some of the most highly rated bars and restaurants in the city have moved into the neighborhood in recent years to join the well-established classics that can still give considerable old world charm. In recent years the Financial District has seen significant growth in residential properties. Those looking for Financial District Apartments will find that many of the old banks and office buildings have been converted to create stunning lofts. Also, modern high-rises have sprung up with luxurious condos offering river views. In many buildings, you can expect amenities like roof terraces, concierges, and gyms. Financial District rentals are readily available and in comparison with many areas of Downtown Manhattan can be quite reasonably priced. 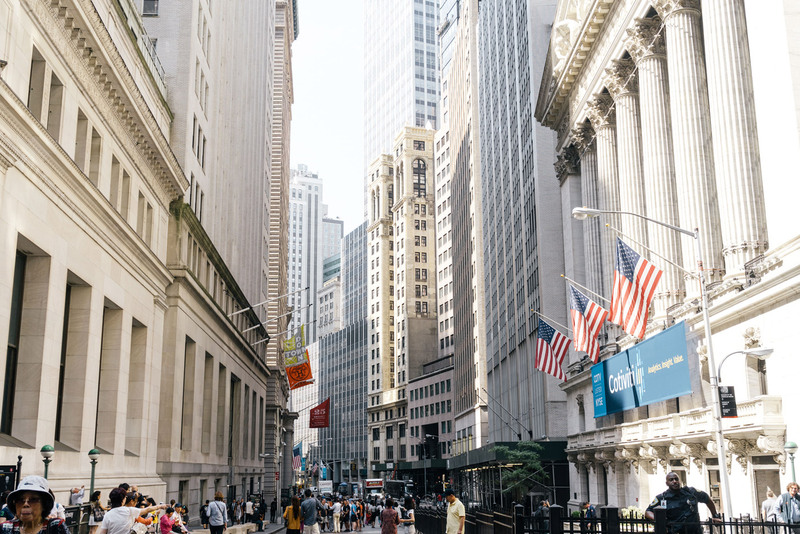 Home to many of the city's major financial institutions like the New York Stock Exchange, NASDAQ, Federal Reserve Bank and New York Board of Trade, the Financial District has a long history. Dutch settlers bought the land that was to become the Financial District from the Lenape Tribe in 1626. By 1793 the first stockbrokers had built Tontine Coffee House at 82 Wall Street to serve as a place of business. It was also an inn and dining room, as well as a financial market. In 1835 a fire that had started in one of the warehouses by the river swept through the district burning down Tontine House and the new financial center the Merchants' Exchange. 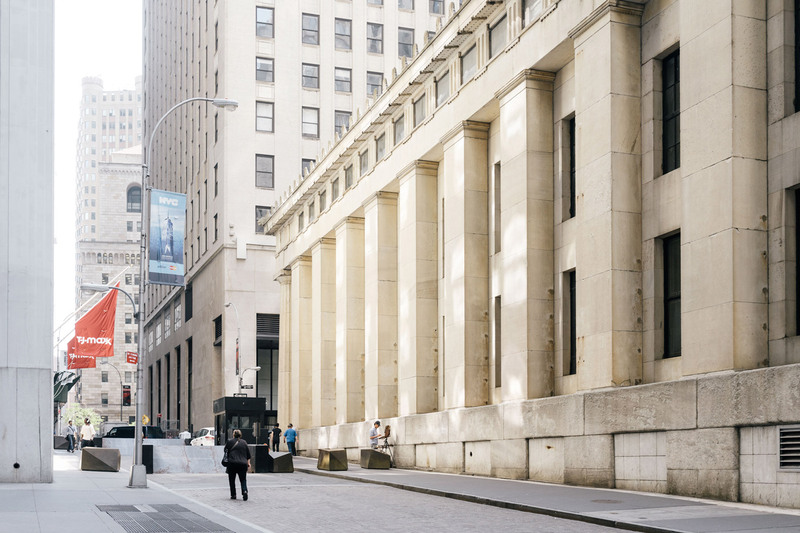 After the fire, a stone and marble Financial District was built from the ashes with the new Merchants Exchange at 55 Wall Street at its heart. By the time JP Morgan erected his bank at 23 Wall Street in 1913, New York was at the epicenter of the financial world. It was also home to many insurance companies in its northeastern corner, so much so that this area of the neighborhood was known as the Insurance District. As the century progressed, the Financial District also became home for ticker tape parades that would begin on Lower Broadway, which became known as the Canyon of Heroes. Right up to the late 20th century it was the destination for daytime traders and office workers, but in recent times many buildings have been converted from office space to apartments and condominiums as more and more people chose to live in the area. A neighborhood with such a long history naturally has many places of cultural interest. Take The Museum of the Native American Indian. It's a free institution that has a superb collection of Native American artifacts and hosts daily guided tours. Naturally, the home of Wall Street plays host to The Museum of American Finance. 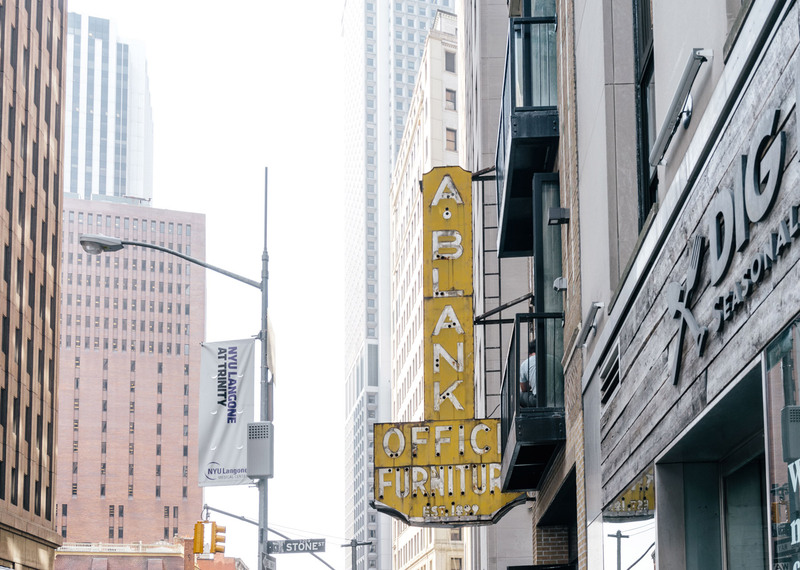 Located in the former Bank of New York building, it strives to educate visitors on American economic history as well as contemporary financial issues. History buffs will enjoy Federal Hall, which served as the first capitol building of the United States and was the site of George Washington's inauguration as President of the United States. South Street Seaport features more than 100 restaurants, cafes, and shops and a maritime museum. It also holds free summer concerts, bi-weekly outdoor film screenings, and outdoor workout classes during the summer months. America's tallest building, One World Trade Center is host to the One World Observatory, which you can reach via the 'sky pod elevator.' From the observatory, you can take in panoramic views of the city as well as peer through glass floors to the streets 100 stories below. The 9/11 Memorial and Museum sits at the former World Trade Center site, offering a moving tribute to those who lost their lives in the 2001 attacks. Century 21 opened its doors in 1961 and has become a NYC retail icon, known for designer brands at incredible prices. From its small beginnings, it has grown to cover 220,000 sq. ft. and offers seven floors of fashion. The World Trade Center is home to the largest shopping complex in Manhattan, Westfield World Trade Center. It is home to over a 100 stores selling everything from jewelry to stationery. There also has a wealth of eating options to choose from making it the perfect place to take a lunch break. There are many clubs in the Financial District but only one for dogs. Fetch club is a doggy paradise offering hotel, daycare, grooming, training, walking services, customized nutrition and a curated retail boutique. Inside the Beekman Hotel, you'll find Keith McNally's high-end French Brassiere, Augustine. It has dishes like steak tartare, dry aged steak and rotisserie chicken on the menu along with classic and specialty cocktails. Fraunces Tavern is a colonial-era American tavern operating since 1762 in a landmark building that played host to George Washington. It serves a traditional menu and is known for its chicken pot pie along with contemporary dishes. 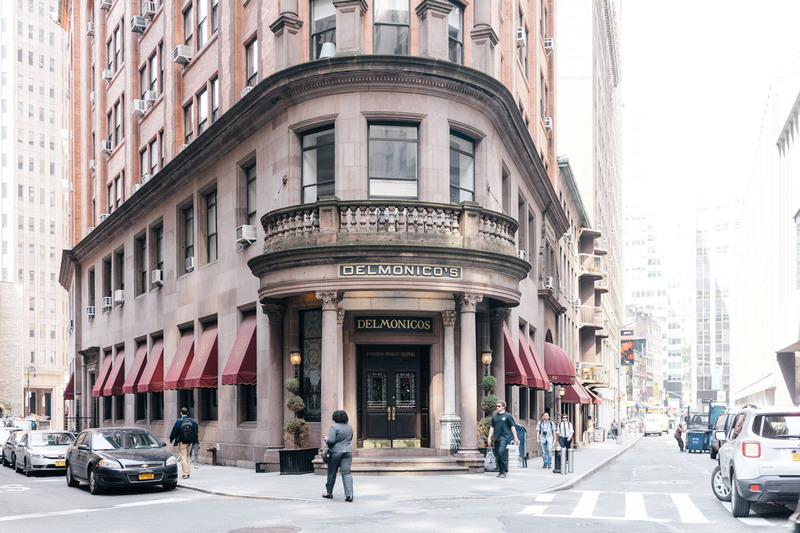 Founded in 1837, Delmonico's claims to be the first restaurant in New York City. It's famous for classic filet mignon, desserts like Baked Alaska and eggs benedict, which it takes credit for inventing. On the third floor of World Trade Center Tower 4 is Eataly Downtown. In comparison with its Flatiron District sibling, it offers more breakfast and lunch options along with the usual features like freshly baked bread, hand-pulled mozzarella and regional Italian seafood. The Dead Rabbit is an award-winning bar with a vast knowledge of New York's drinking history. It has resurrected long-forgotten concoctions like The Byrrh Daisy cocktail or the Lawn Sleeves Bishop in its upstairs parlor. Those looking for a more traditional drink should head for the downstairs bar. Built inside a turn of the century Wall Street Bank Vault commissioned by Andrew Carnegie is the Trinity Place Bank Vault Bar. It's a great place to enjoy a cocktail and is also home to a well-regarded restaurant. Overlooking the Hudson River is the downtown outpost of P.J. Clarke's. The saloon hosts an unpretentious bar scene offering drinks, burgers and other pub food. Stone Street Tavern is one of the most iconic drinking spots in the neighborhood, and as Stone Street is closed to traffic, it's an excellent spot to enjoy an outdoor drink in the warmer months. One door down is Becket's Bar and Grill, located in a circa-1603 building it offers old school charm and new school drinking. The street also plays host to the annual Oktoberfest every September featuring traditional German food, music and costumes, and of course, a lot of beer. Racines NY is part is one-part Paris, one-part New York with food courtesy of Michelin starred chef Frederic Duca and a wine list that focuses on small estates and lesser-known regions such as the Loire Valley, Languedoc-Roussillon, and Corsica.